In June 1815 The Literary Panorama and National Register reviewed the Third and Fourth Reports of the Commissioners appointed to enquire into the Nature and Extent of the several Bogs in Ireland and the practicability of draining and cultivating them. Appendix 5 of the Third Report was Richard Brassington’s survey of a “District on the River Barrow, in Kildare and King’s County”. the mischief arising from impediments thrown across rivers, and streams; such as mills, weirs, for taking fish, &c.
a remarkable instance in proof of the evils attendant on such structures. When these matters are considered, and also that, by reclaiming the bog, employment would be afforded to the industry of the poorer orders of the people in the neighbourhood of the bog, and that the salubrity of the air would be greatly improved thereby; topics which can never be considered irrelative to the discussion of the expediency of any public undertaking, I conceive that it is extremely desirable that this bog should be reclaimed, and indeed all the other bogs in the district. 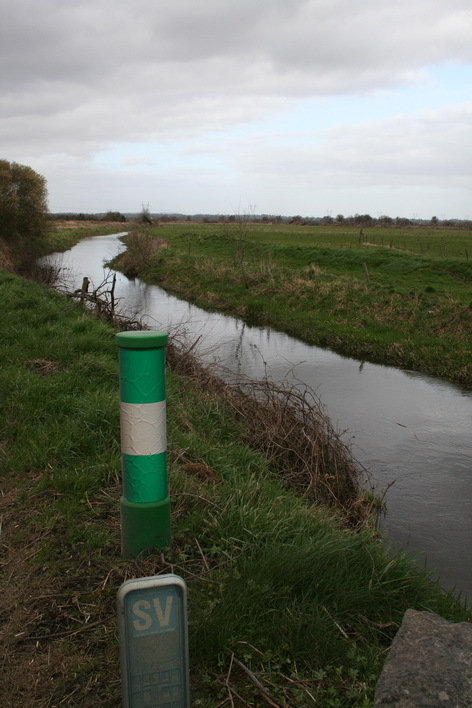 The processes recommended for improving these bogs are various: drainage is the leading feature of them all. The idea of converting the drains necessary for that purpose, in some places, into navigable canals, is happy. The system of drains in others is judicious. On the Ordnance Survey map surveyed in 1837, published in 1839, the Finnery is shown as splitting in two just before itflows into the River Barrow; one of the branches is straight and might be artificial. 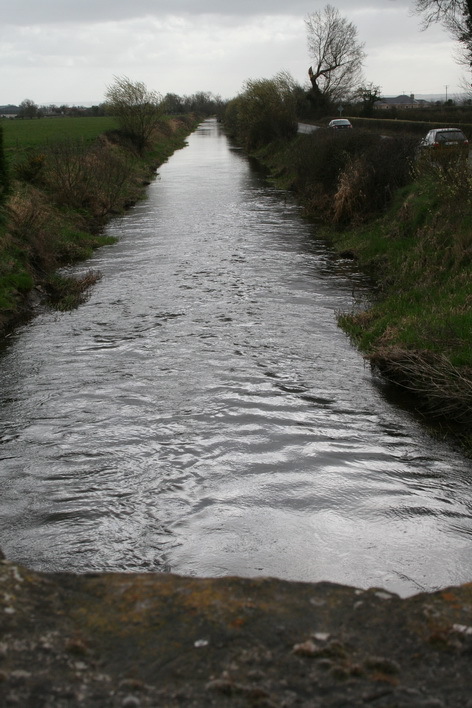 Then, moving upstream, the Finnery bends in a natural-looking way until it reaches Cloney Bridge, where it flows under the Monasterevan–Athy road (R417). Upstream of the bridge, it turns sharply to run straight north, alongside the road. 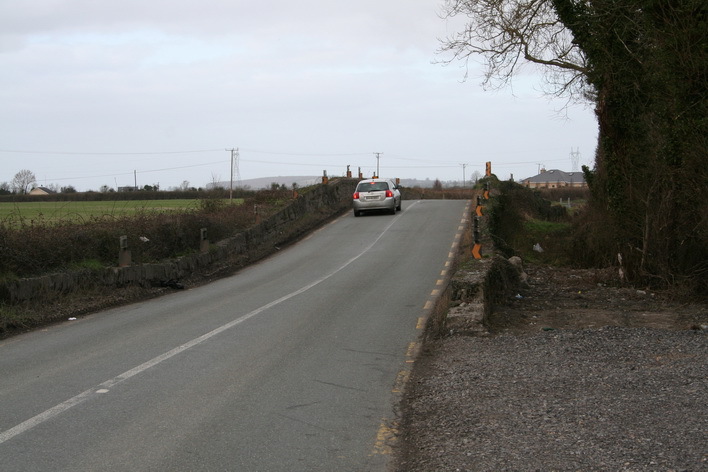 It passes under another bridge (called the Black Bridge on the 1908/9 OS map) on a local road leading to Boherbaun and Cloneybeg. 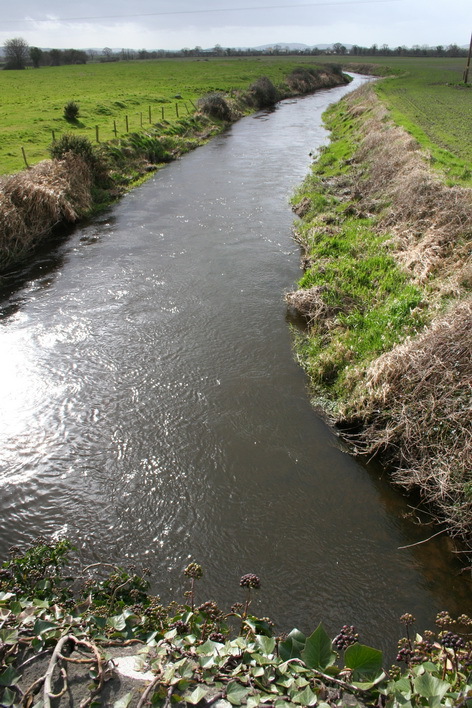 Shortly afterwards, and still moving upstream, the Finnery turns NNE; just above the bend is what looks very much like a winding-hole/turning point. It soon turns NE towards the bogs (now largely replaced by woods) of those districts. It bears the legend Canal to bog; those words also appear after a right-angle right-hand bend. There is a complex of what may be small drains; the Finnery itself reemerges on the far side of the bog. Further drainage work was undertaken in 1931. 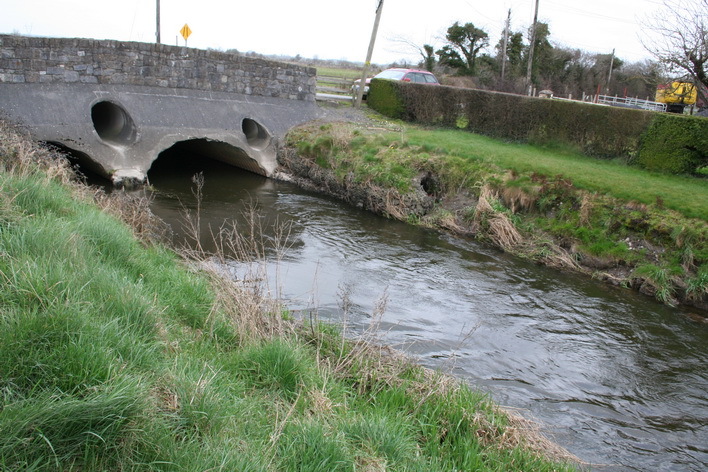 It seems likely (but I cannot be certain) that the Finnery, a substantial watercourse, was both a drainage channel and a navigation, carrying turf from the bog, probably to Athy. I would welcome further information about the Finnery.